Rolla Casino will then reward you with a bonus (Welcome Bonus is for new players only). The terms and conditions of the bonuses vary between different casinos and might also change over time and between different countries, so it is important to compare the different offers and read the T&C for Rolla Casino before signing up. If you have been on the lookout for an exciting, new casino, look no further than Rolla Casino. Having been established in 2018, Rolla Casino is fully licensed and regulated in the EU via Malta Gaming Authority (MGA). Moreover, all of their games run off a highly secure Random Number Generator (RNG) which is independently audited and certified in the EU, and all the transactions with the casino are encrypted so you can expect a professional and trustworthy level of service from them. Their site runs on the GiG platform, an innovative online gaming company behind several very successful online casinos, which is also listed on the Oslo Stock Exchange. Thanks to the GiG platform, Rolla is a creative and well-designed online casino site with intuitive user interface. Its mission statement is to ‘Break the mould. Create a world-class, users-friendly and hassle-free home for real casino lovers.’ and there is no doubt that this casino has been created with the player in mind. Though new to the online casino industry, this online casino is already working with over 15 game providers to bring you quality games. There are 1,000 games available from popular game developers NetEnt, Microgaming, Play’n Go and others, and they can be played both on desktop and on mobile. In the lobby you will be able to see a vast range of slots, table games, video poker and live casino games. Since the main aim of this online casino is to provide the best user-friendly experience, a lot of personalised action is offered. For instance one important feature that should be mentioned is their personalised dashboard that, once you sign up, gives you quick and easy access to everything you need such as your balance, messages, popular slots, missions, and tournaments. Not only does Rolla have a daily tournament feature which allows you to compete against other players, but there is also Rolla Riches section with amazing custom designed missions, so you can get various rewards. If online slots section is the one you’re after, you will find hundreds of these games on Rolla Casino. The slot selection is extensive and there is something to suit everyone’s taste. The lobby features branded slots such as Jurassic Park and Game of Thrones, and titles like Platooners, Tarzan, Bonanza, Book of Dead, Holmes and the Stolen Stones, Goldilocks and the Wild Bears, Vikings Go Berzerk. Some of the newest video slots at the moment are Book of Oz, Battle Royal, Banana Rock, Who Wants to Be a Millionaire, Reactor and Vikings Unleashed. As for the progressive jackpots, you’ve got Mega Moolah, Genie Jackpots Megaways, Jackpot Jester 5000 and other. Aside from the slots, Rolla Casino has also provided a diverse range of table games. Roulette and Blackjack are a categories on their own and feature different versions of these classic casino games. Table pokers include Casino Hold’em and Casino Stud Poker. There’s also 3 Card Rummy, Vegas Craps, Superwheel, Mahjong Exchange, Keno and Superkeno. The video poker section here covers All Aces Poker, Deuces Wild, Joker Poker, Jacks or Better, and Jackpot Poker. We haven’t been able to find any other game except the ones we’ve previously mentioned. In order to access exciting live casino, you need to be a registered member. Then you can enjoy a variety of live dealer casino games including live blackjack, live baccarat and live Caribbean poker, as well as the wheel-of-fortune style game, Dream Catcher. The exciting live casino is powered by Evolution Gaming and can be played on any device. 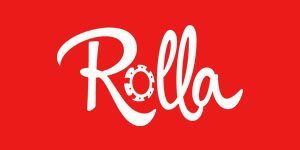 The payment methods currently available at Rolla Casino include debit cards, credit cards Visa and Mastercard, e-Wallets and Prepaid Cards like Trustly, Skrill, Neteller, Euteller, Paysafe, EcoPayz, Instant Banking, Fast Bank Transfers and Bank Transfers, InstaDebit, SOFORT, EnterCash, Inpay. Deposits are always instant and free of any charges, withdrawals are also always free of charge and you can withdraw your winnings within the same day using Neteller, Skrill and Paysafecard, while other payment methods usually take 1-3 banking days to be processed, which is reasonable time you have to wait. If you wish to participate in betting or gaming, you need at least €/£/$20. The minimum withdrawal is always $20. The maximum withdrawal depends on your payment method. With credit cards, you can cash out the maximum of $5,000 per transaction, while bank transfers have the $10,000 maximum.